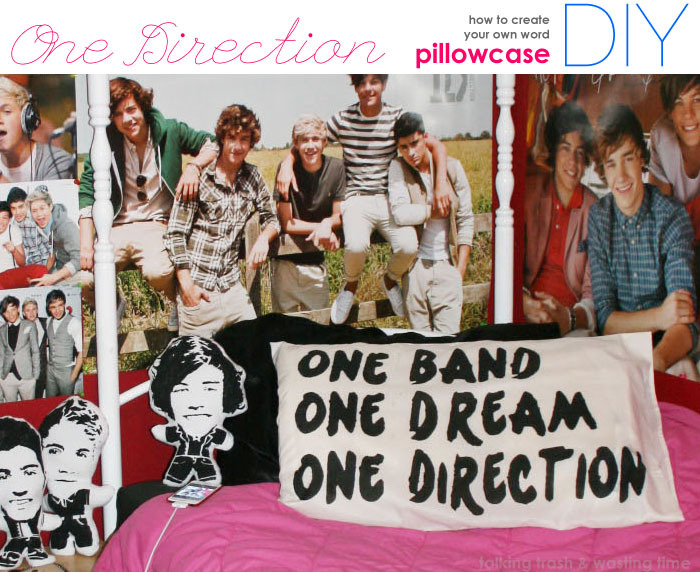 I have had a few emails about the One Direction bedroom I wrote about on an earlier blog post, so I thought I will do a few posts to answer some of them :) So this post is a full tutorial on how to make your own One Direction phrase pillow. 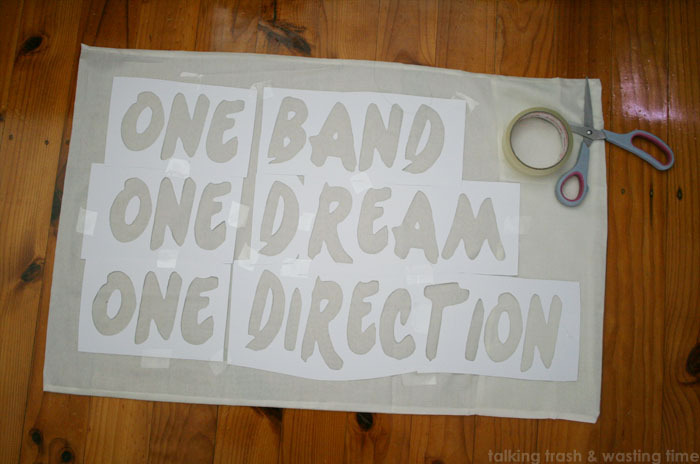 Cut each A4 sheet to fit neatly on the pillow. 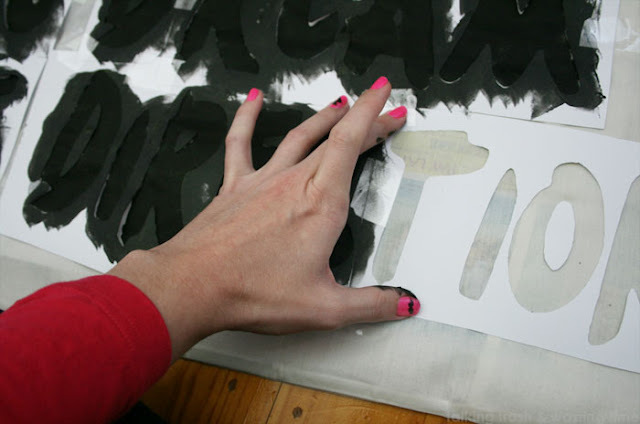 Make sure you get the spacing correct and straight. Stick down with tape to stay in place if using the cardboard. 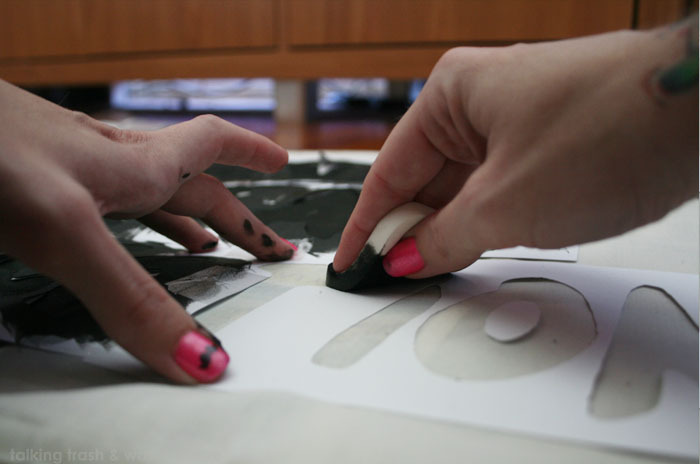 Insert cardboard or think layers of newspaper inside the pillowcase so the fabric paint does not bleed to the other side of the pillow. Start dabbing the fabric paint on being careful to stay within the letters. 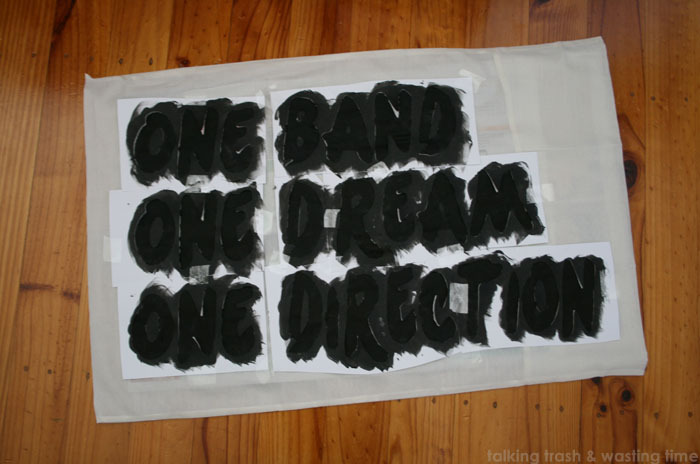 When you are putting the paint on hold down the stencil firmly with the opposite hand. 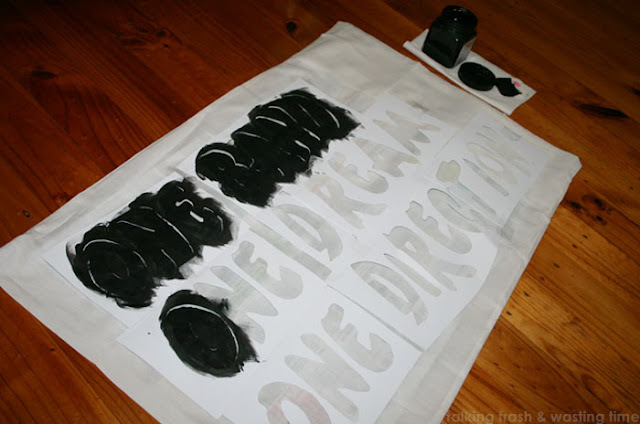 Once completed carefully pull off each piece of stencil before it dries. Place out in the sun to dry. 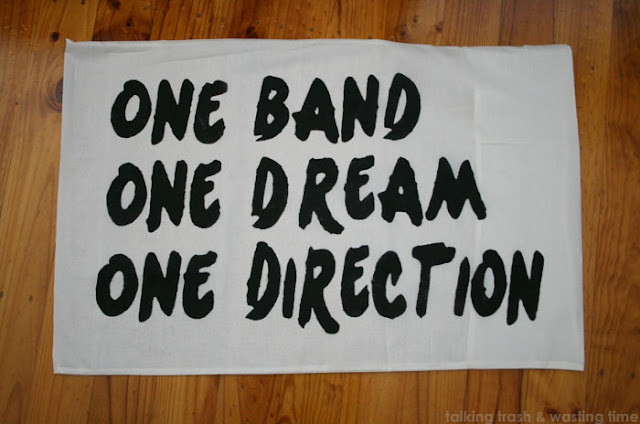 Once dry iron on high heat to set the fabric paint and wash. This method can also be used for any phrase or design, be creative as you like! haha can't wait to see your pies, I am sure they will be great!! thanks so much Julie :) wow I will go check it out! I am selling these people pillows so unfortunately I will not be doing a HOW TO on them. 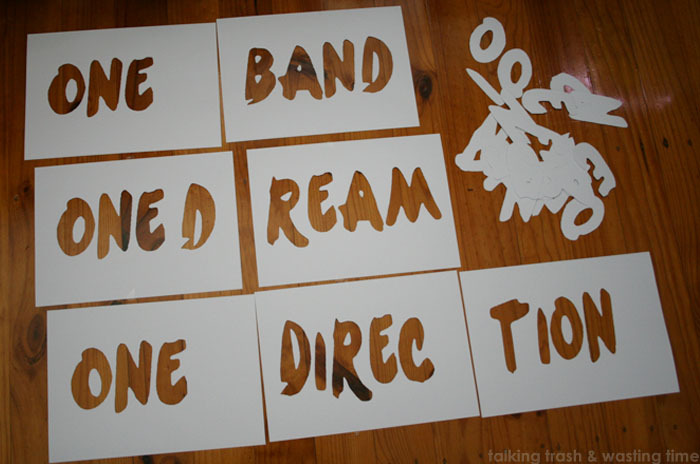 do you have any more one direction DYI that is on your sight? Good day! Do you have any blogging skills or this is just a natural gift? Can't wait to hear from you. Hi! haha i'm latina ok no can u please tell me how do you do the dolls behind? 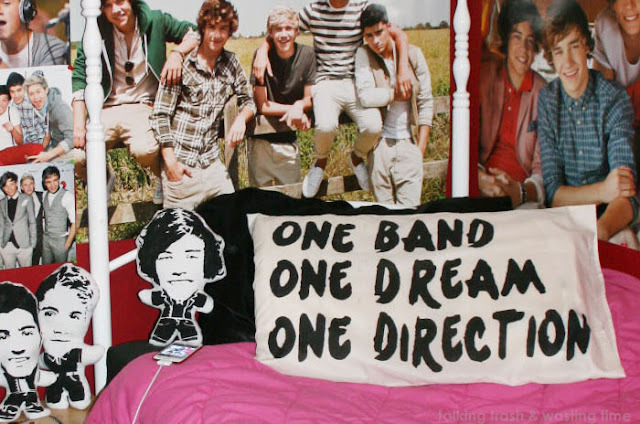 Hi..Just want to know where did u get those litle black and white one direction figure cushions from.theyre on the photo of your daughters bedroom next to the printed 1D pillow u made???!!!! !